An exhibition that combines fine art with environmental awareness. Paddington's Piermarq Gallery is hosting the newest exhibition by Endcount, an Australian-based duo which takes a fine art approach to raise awareness about endangered species. A collaboration between French painter Aurelie Perthuis and UK-born engineer Joe Bramwell-Smith. 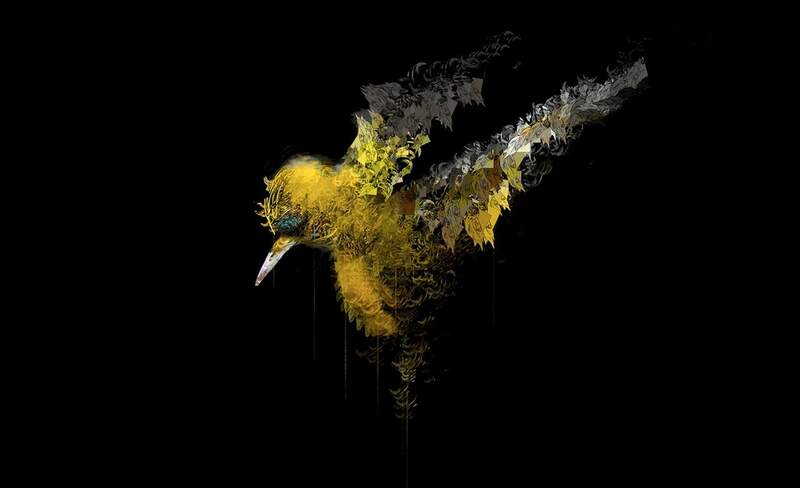 Their artistic focus combines research, fine art, code, digital art, printing and painting to create a modern portrayal of the human impact on extinction rates. Endcount's second series focuses on endangered birds of Australia. Their complex process began with building an app which uses the the IUCN Red List — a source which documents the total number of a threatened species remaining in the wild — to create a digital image of these numbers. Once the digital version is generated, it is printed on a canvas and painted, providing an even greater depth to the pieces. The result is a morosely beautiful and thought-provoking body of art that depicts the fragility of these species while also appealing to our scientific reasoning. Through their multimedia approach, Endcount is able to aptly create data visualisation for these IUCN findings and evoke an emotional response to a problem that too often goes overlooked. The work will be on display until Saturday, November 5.